Over recent weeks school has been such a busy place, there hasn’t been room in the Newsletter to report on everything that has been going on. I make no apologies for sharing some of these events with you a little ‘after the fact’ as children had experiences that really were too good not to be shared! 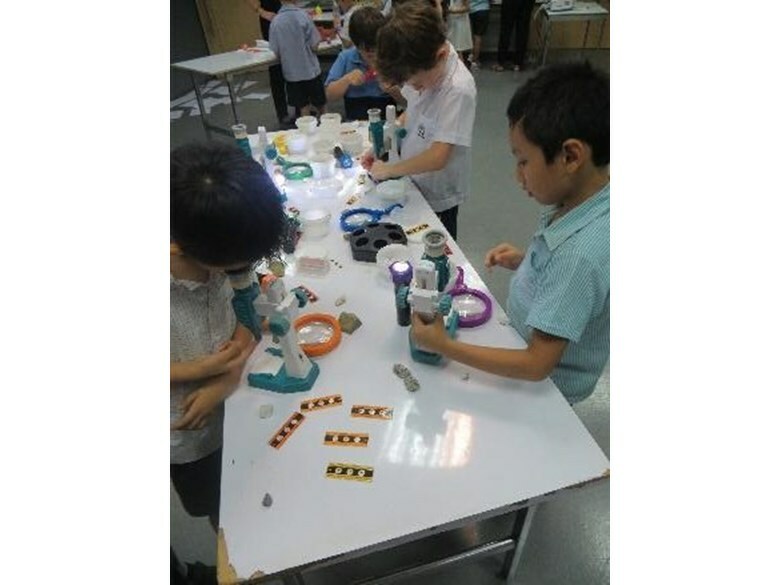 Recently some children from Year 2 took part in a Science Day at N.I.S.T. 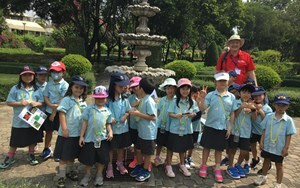 with children from other International schools in Bangkok. 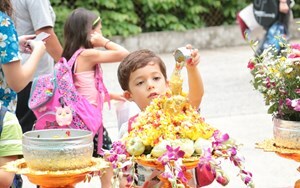 The day provided a unique opportunity for the children to participate in a range of scientific experiments and investigations. 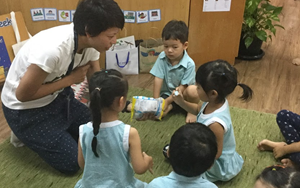 The children were encouraged to make predictions about what they thought might happen and make careful observations using their scientific knowledge and vocabulary. 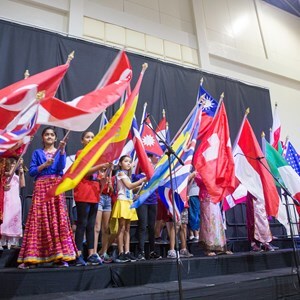 Throughout the day the room was filled with many positive reactions, “wows, ohhs and ahhs!’ as all of the children joined in enthusiastically during all of the activities and experiments. The children used magnifying glasses and microscopes to investigate a range of everyday materials up much closer, with some surprising and terrifying results! They created a Universal Indicator from Red Cabbage and then tested different household liquids to see if they were acids or alkalis. 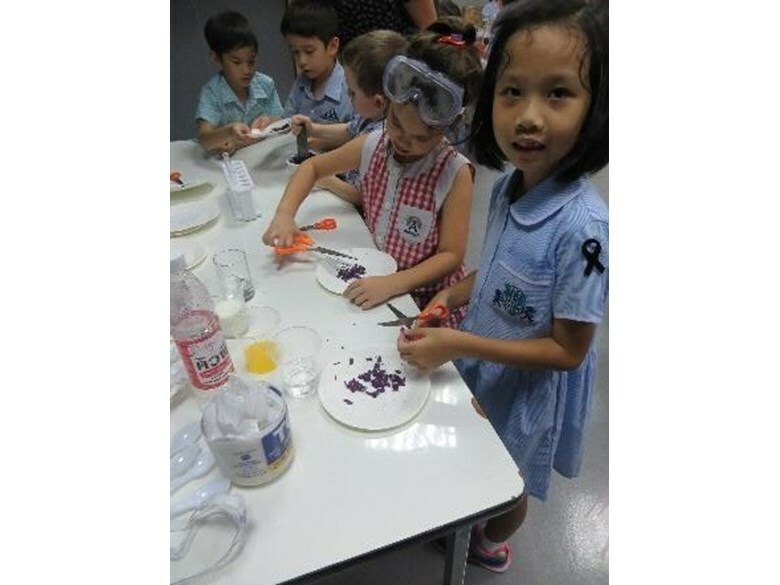 They wrote secret messages using lemon juice and created chemical reactions from Baking Soda, Vinegar and Food Colouring – watching the effect with great excitement! 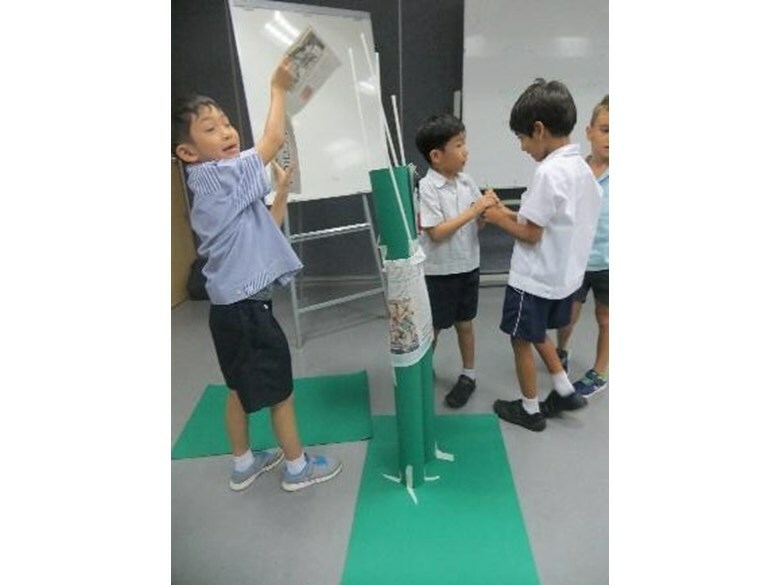 This was followed by a team challenge where the children had to build the tallest freestanding tower using only 10 large pieces of card, 10 sheets of newspaper, 10 construction straws and masking tape. Following some great discussions and teamwork all of the teams constructed a tower that was taller than they were with 2 teams building towers (with flags on top!) as tall as the ceiling! We would like congratulate the children from St Andrews for their creativity and fantastic behaviour and also say a big thank you to the children and teachers from N.I.S.T who made us all feel so welcome and for organising such an enjoyable day! I am very lucky in my role as I spend a lot of time moving around campus. 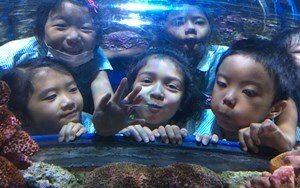 Very often I come across children engrossed in their classrooms with all kinds of activities. 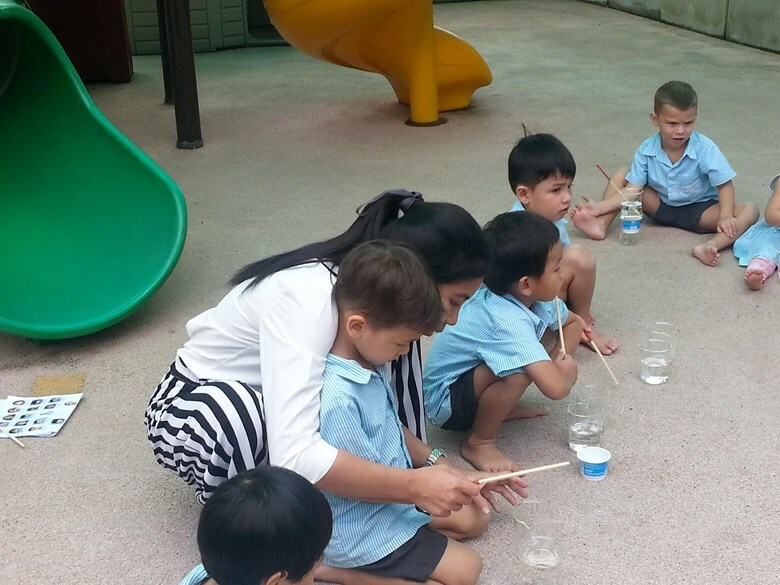 Sometimes I come across groups working ‘al fresco’, which was just what happened when I came across Miss Marie working with the KG children. 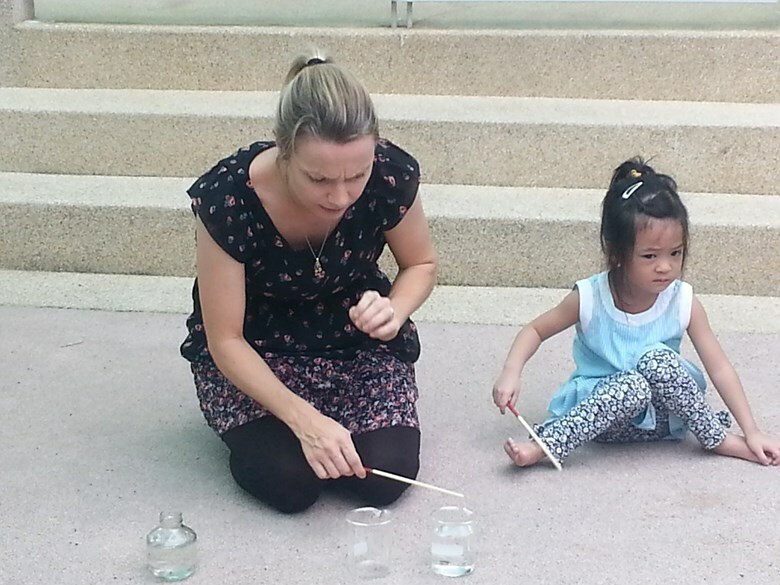 Music lessons for KG took place outside last week. 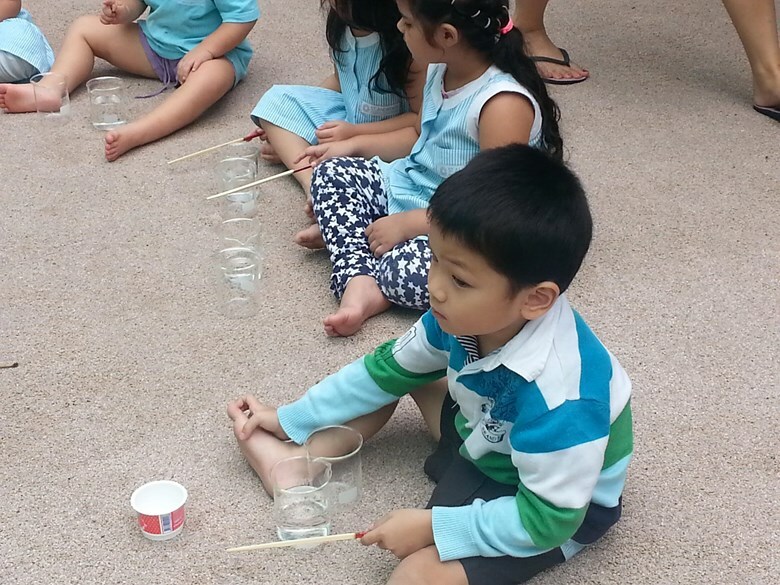 To link with their STEM (Science, Technology, Engineering and Maths) focus, the children spent time exploring the sounds that can be made when hitting glass beakers with wooden chopsticks. The children suggested that they could change the sound if they added water into the beakers. So they did this and then compared the new sounds the beakers made. 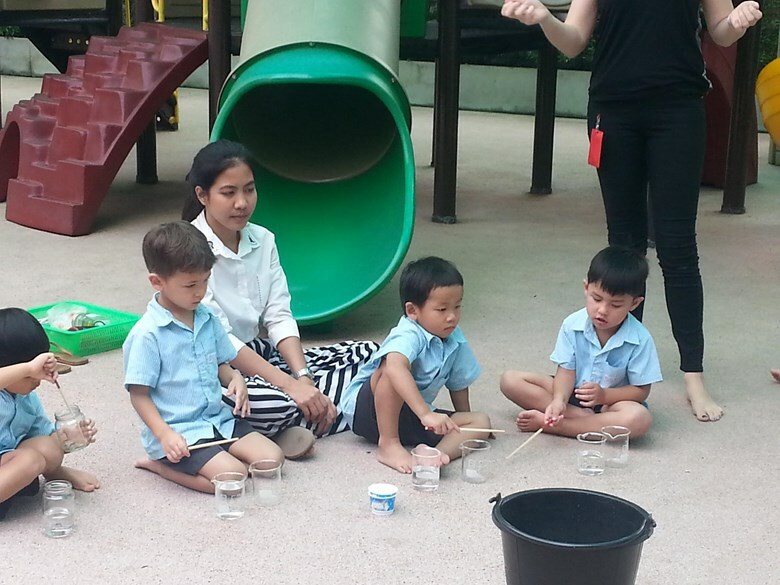 Then KG used their glass beakers as an instrument to show that "If you're happy and you know it" they can also play softly, loudly, slowly and quickly! They finished a lovely lesson with '10 green bottles' to practise their counting. Thank you for all the gifts that are starting to come in for the Mercy Centre. Hopefully the boxes in Foundation Stage and KS1 will be overflowing with presents by the time we perform our Christmas Shows and invite the Mercy Centre representatives to come into school to help to celebrate Christmas with us. 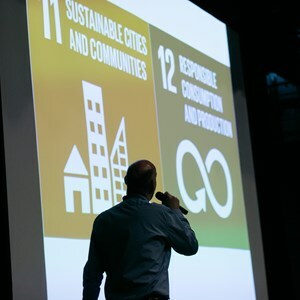 Last week Mr Jason launched the gift box collection for the Bangkok Refugee Centre, also a very good cause. 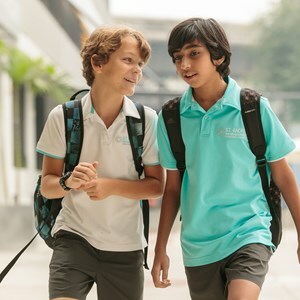 You can of course donate to whichever one is close to your heart, but with our long association in FS/KS1 with the Mercy Centre, this will still be the main focus of our gift collection.